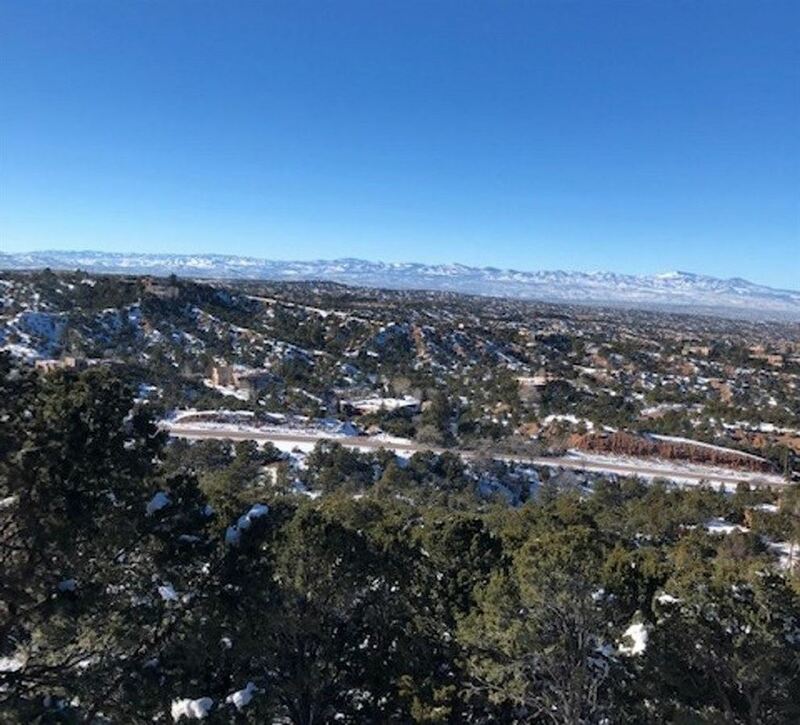 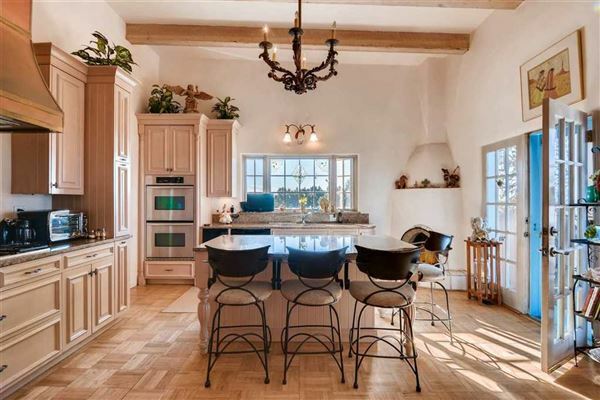 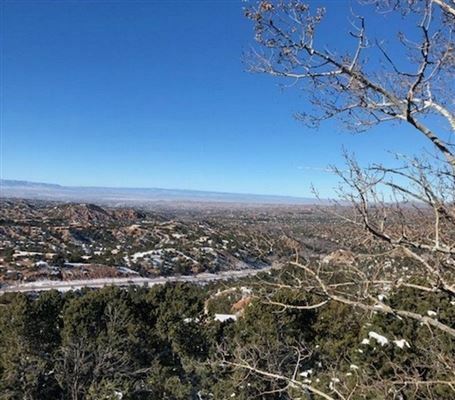 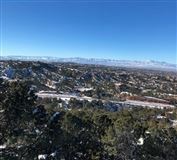 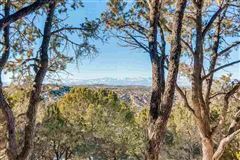 This beautiful Santa Fe home is located on the exclusive Brownell Howland Road, just off Bishops Lodge Road, and sits on more than one acre of land with breathtaking views that stretch for miles. 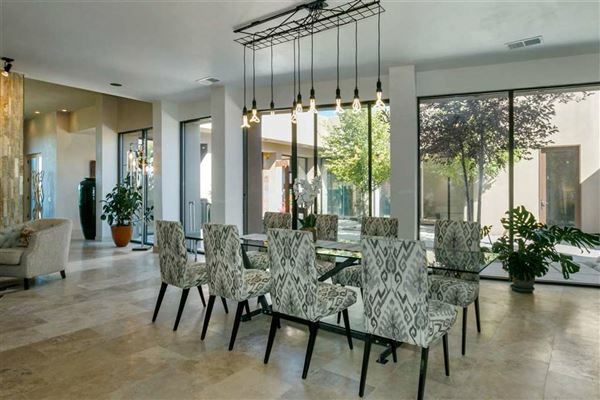 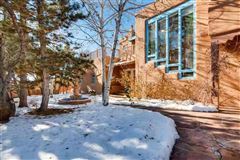 This four bedroom, four bath home has more than 4,000 square ft. of heated space, and a grand entry way that lends to a spectacular introduction to the home, with top to bottom windows and high ceilings. 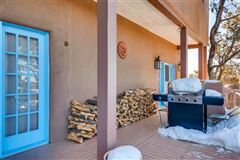 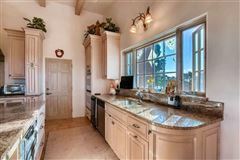 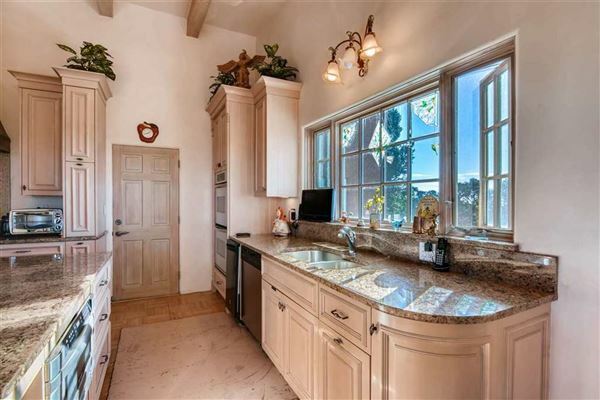 The cook’s kitchen includes gas appliances, granite countertops, and a fireplace. 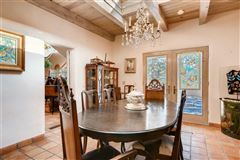 Entertain guests with an elegant dinner in the dining room featuring a stylish chandelier and skylight overhead, or step outside onto the outdoor deck and relax and enjoy the fully landscaped yard presenting a peaceful stone fountain. 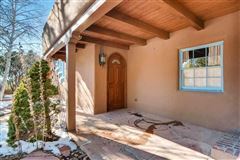 Stroll through pinons, aspens, ponderosa pine trees and enjoy the Vistas from this exceptional property that includes the Jemez Mountains to the west and the stunning Sangre de Cristo Mountains to the east, while views to the north reach beyond the Tesuque Badlands all the way to San Antonio Mountain near the Colorado border. 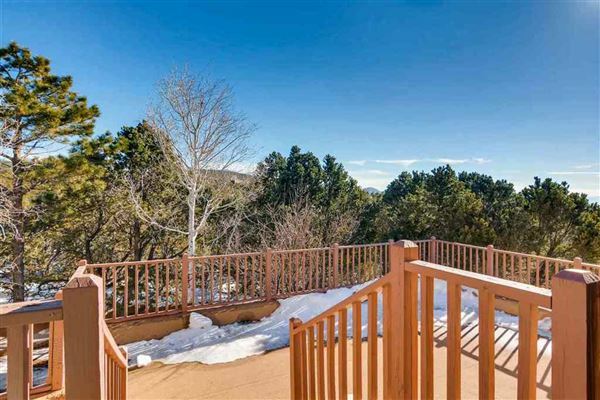 There are many opportunities for outdoor activities, including trails near the property. 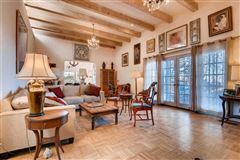 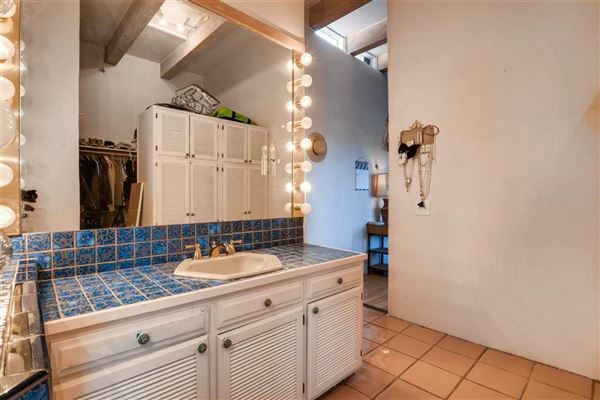 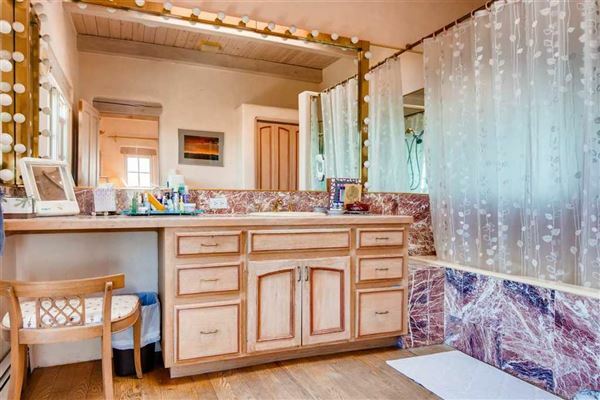 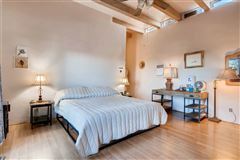 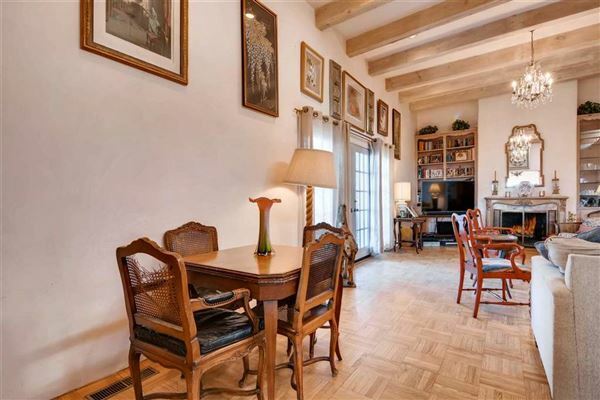 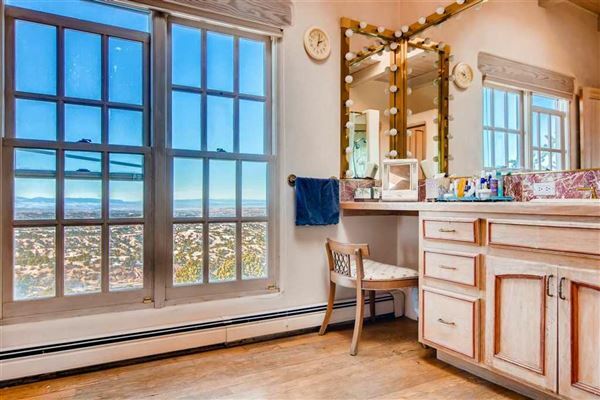 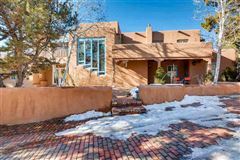 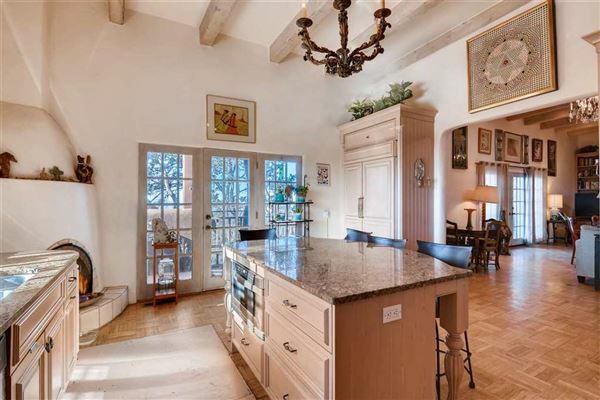 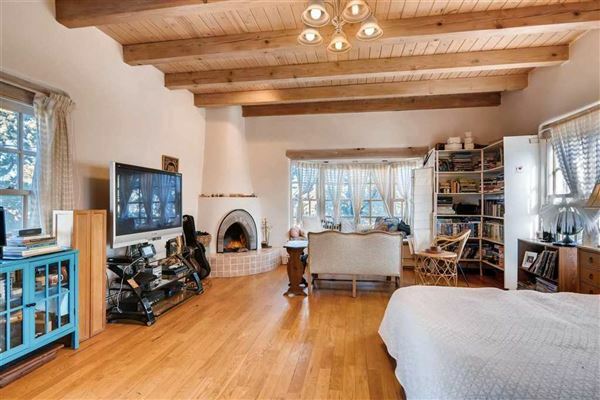 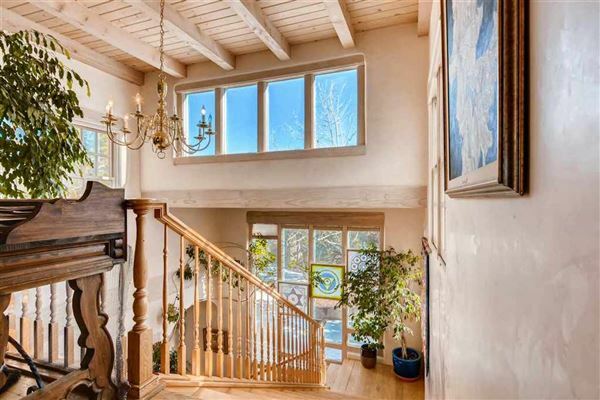 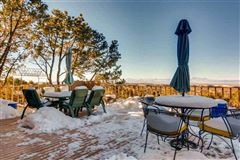 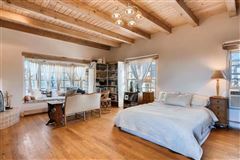 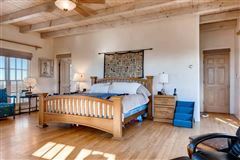 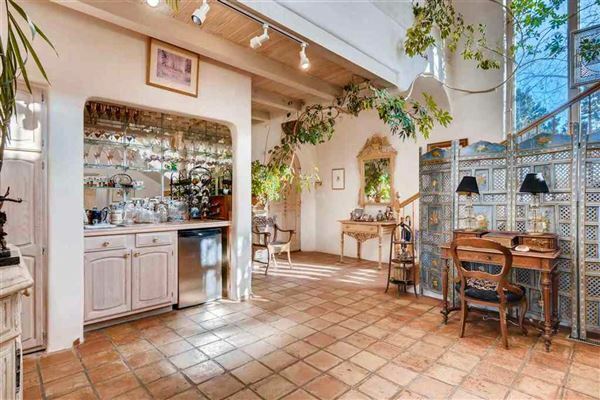 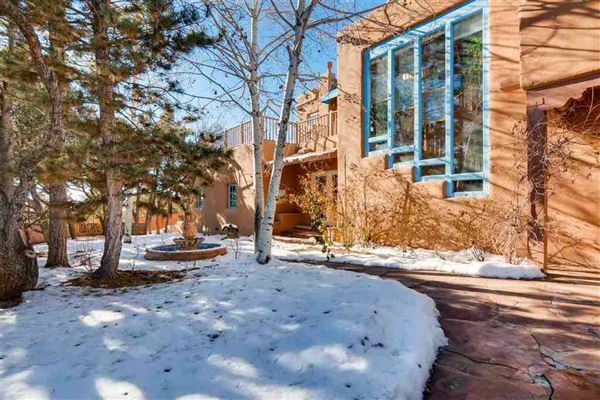 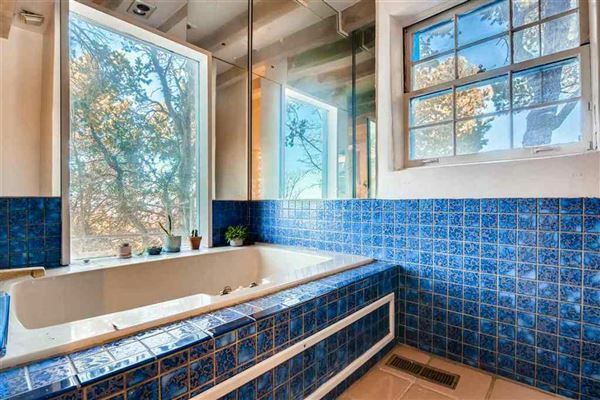 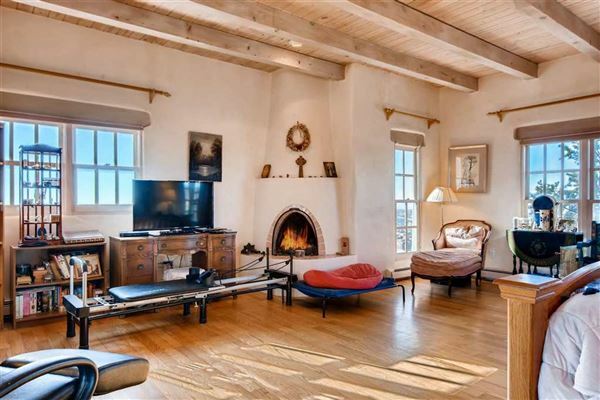 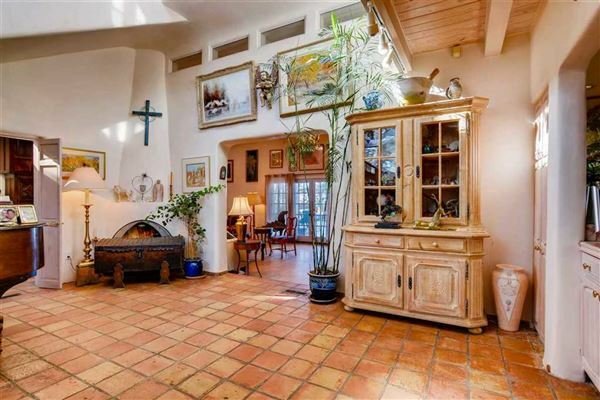 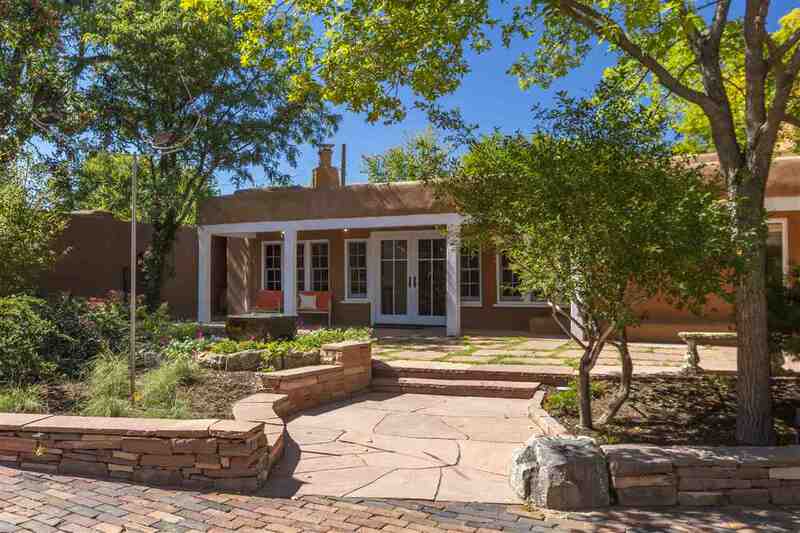 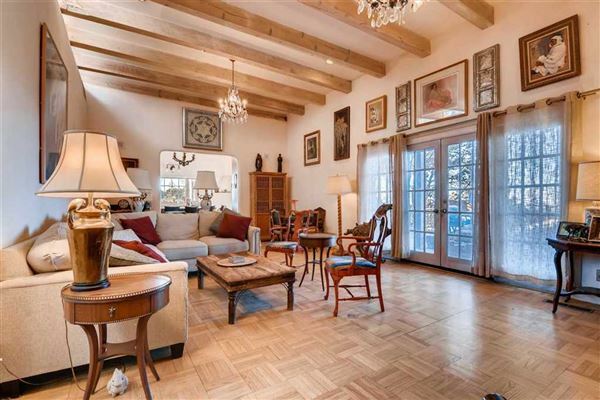 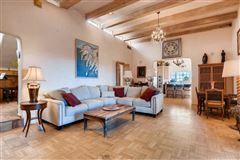 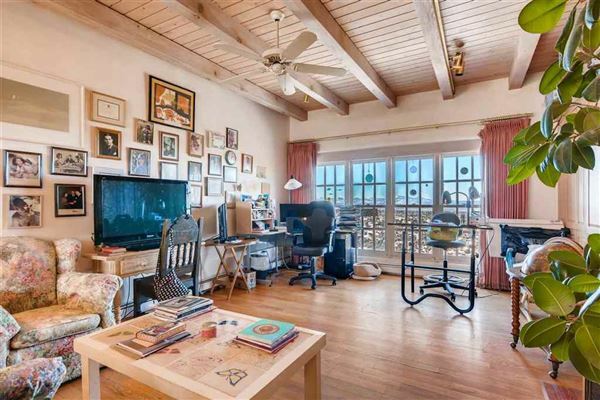 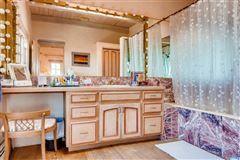 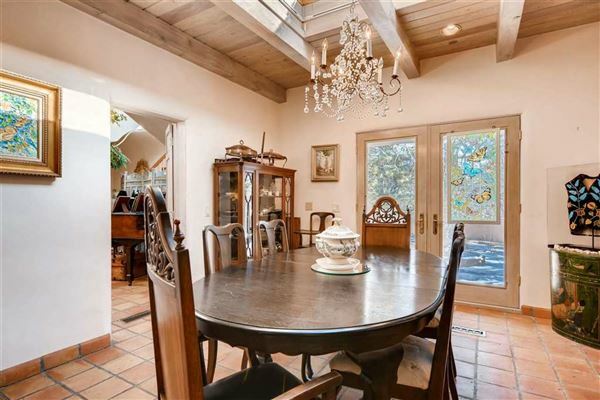 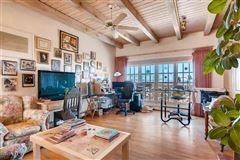 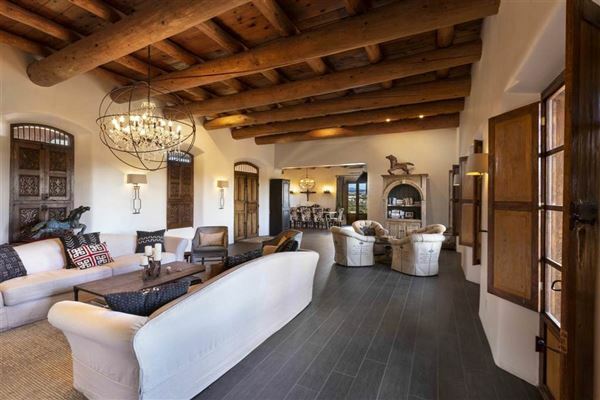 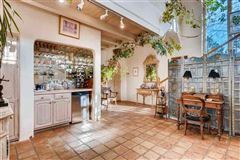 This inspiring mountain home is only a short drive away from the Santa Fe Plaza and the world-renowned galleries of downtown Santa Fe. Additional adjacent land available for a guest house and/or private residence with a pond at an additional price.